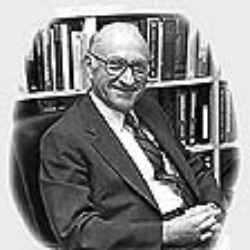 Dr. Holzman was well known for his research on schizophrenics and their unaffected relatives. While most studies of the disorder begin and end at analyzing a schizophrenic's symptoms, Dr. Holzman went beyond that, his colleagues said. Some of his most influential experimentation examined the eye movement of schizophrenics and their relatives. Dr. Holzman found that eye movement in schizophrenics and their relatives is usually erratic. Because people who have the disease and their relatives experience the same type of eye movement patterns, studying it could provide clues as to what types of genes put people at risk for the illness. Born in New York City in 1922, Dr Philip Holzman graduated from the College of the City of New York in 1943 and completed a doctoral degree from the University of Kansas in 1952. After working at the Menninger Foundation and the University of Chicago, he joined the Faculty of Arts and Sciences at Harvard University and the Department of Psychiatry at Harvard Medical School. In 1977, he founded the Psychology Research Laboratory at McLean Hospital in Belmont, MA, and became an integral part of the research group organized by Seymour Kety at the Mailman Research Center. Dr Holzman was the Director of the Psychology Research Laboratory at the time of his death.